Call them what you wish, but the bottom line is they’re delicious. Even when they’re not fried. They are also really easy to pull together — I like to take whatever I have in my fridge/pantry, add an egg or two to bind it all together, and bake or pan-fry to finish it off. This recipe was no exception. So what exactly is in that bowl? 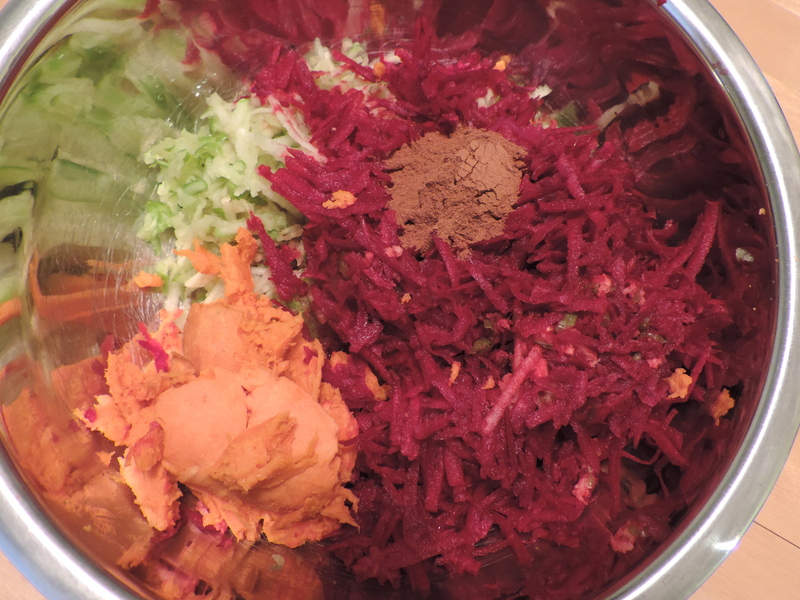 Well it started with shredded beets and green apples, and gradually evolved to also include sweet potatoes, fresh minced ginger and cinnamon. That’s it! 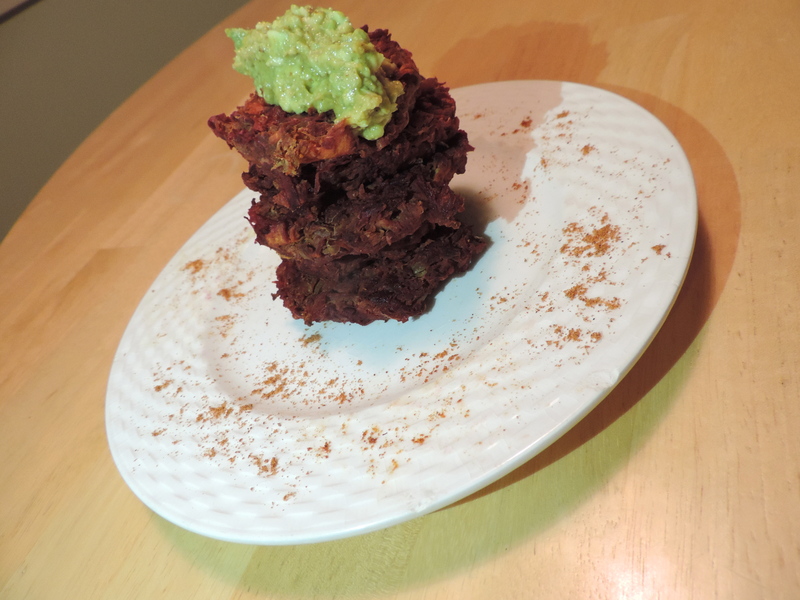 Top it with a creamy avocado tandoori sauce (literally, just mashed avocado and tandoori) — and voila! One seriously delicious patty! 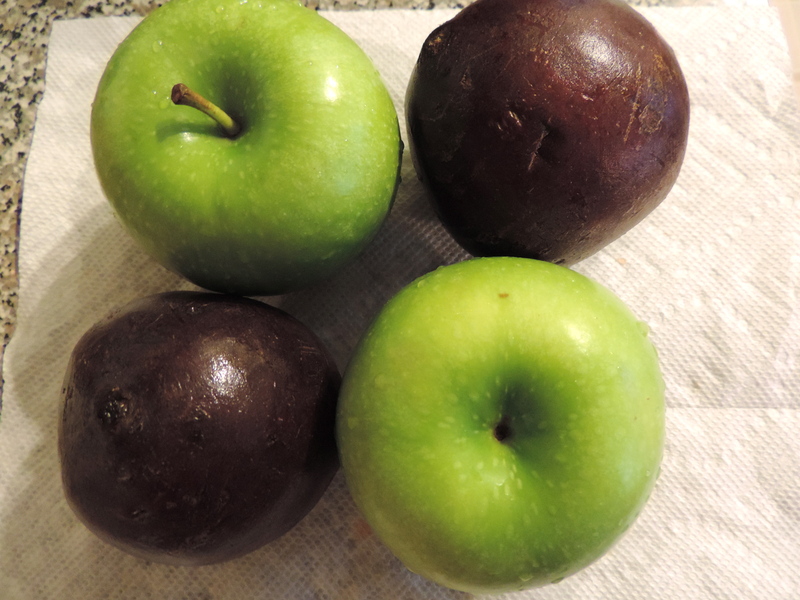 This recipe is also chock-full of nutrients: potassium, vitamin C, fiber and “good” fasts from the avocado, to name a few. Plus, the spices pack a major antioxidant punch. And while the finished product isn’t the most beautiful, I promise you, it was ridiculously, insanely yummy. I will definitely be eating a patty topped with a fried egg tomorrow for breakfast. I’m giddy just thinking about how tasty it will be! I started with just one egg, but two will help bind it slightly better. Be sure to squeeze the liquid out when forming the patties. And if you happen to drink the extra beet-apple-ginger-cinnamon sweet nectar liquid, you will be one happy camper. Poke holes in the sweet potato. Microwave for 4-6 minutes, until very soft. Pull peel off of the cooked sweet potato (should be very easy — otherwise cook it a little longer) and add sweet potato flesh to the bowl with the apple, beets and ginger. Add cinnamon and eggs. Combine ingredients well. Line a large baking sheet with aluminum foil. 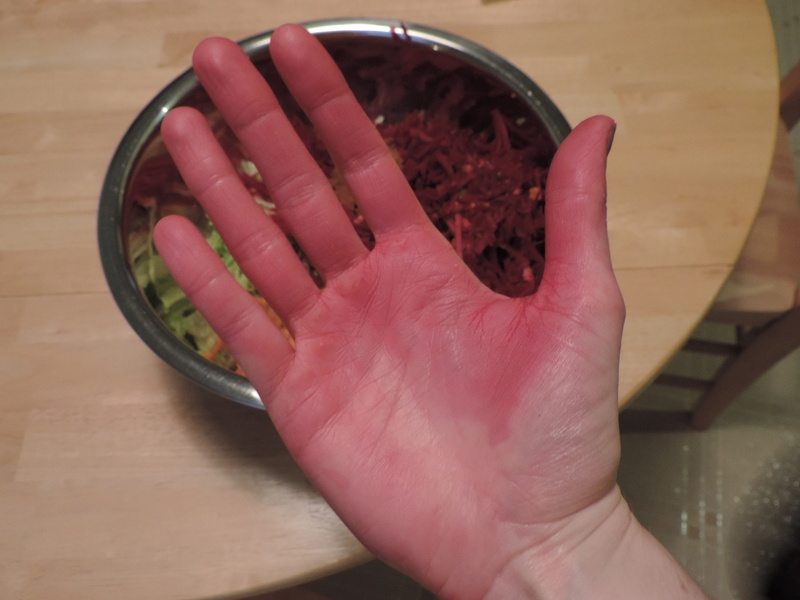 Using your hands, form the beet mixture into patties. Be sure to squeeze any extra liquid out of the patties before placing on the baking sheet. 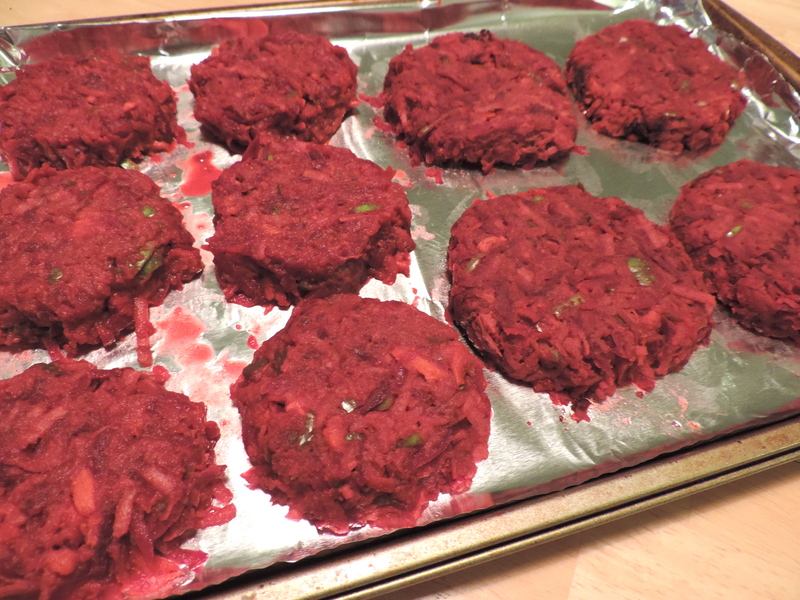 Seriously — don’t these look like beef burgers?! Bake for about 45 minutes, until top and sides are crisp. While the patties are baking, make the avocado sauce. 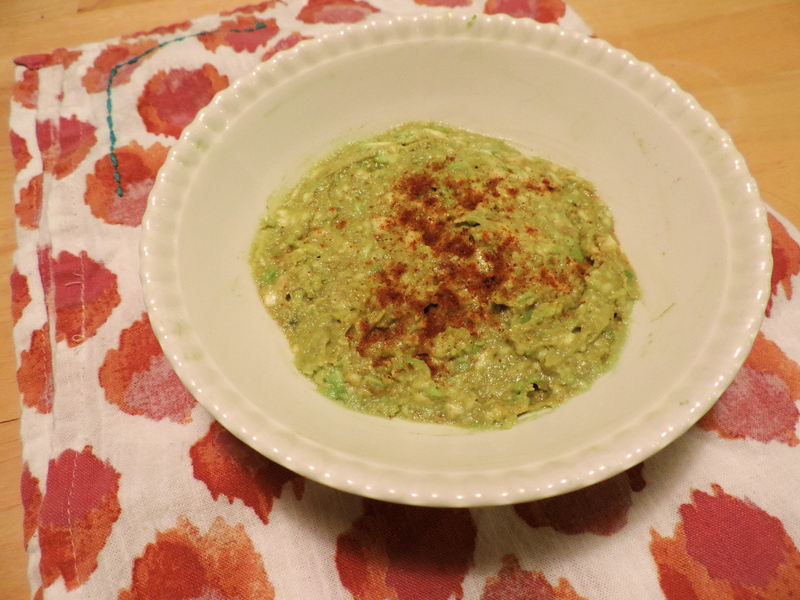 Mash avocado in a small bowl and add tandoori spice. Stir until well combined. Let patties cool and serve with a dollop of the avocado sauce. 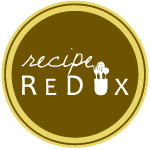 See what other delicious patties Recipe ReDuxers came up with by clicking on the link below!